Levenes Solicitors were successful in a personal injury claim for motorcyclist, Enrique Leon Hernandez, in the High Court following a 3 day trial in January 2019. Mr Hernandez was riding his bike along Victoria Park Road on 28th June 2014. It was a fine day. He had collected his bike, a vintage BMW R80 earlier that day. Victoria Park Road is a one way street. As he approached a side road on the left, the driver of a BMW car pulled out of the side road in to the path of the motorcycle. Mr Hernandez suffered a spinal cord injury as a result of the collision. The Defendant edged out from the side road giving himself a view of 40 metres up the road to his right. The Claimant’s case was that the Defendant did not take proper care to ensure that the road was clear before he pulled out. The Defendant’s case was that Mr Hernandez was speeding. In fact, the police thought that he was riding at 58 mph in a 30 zone based on CCTV footage which captured the rider as he was approaching the scene. Although this was the speed given by the police, it was accepted by both sides at the trial that this calculation of speed was incorrect. At the trial, the Defendant alleged that Mr Hernandez was riding at 51 mph which was 21 mph over the speed limit at the time. There was an independent witness to the accident but her evidence was found not to be reliable. The CCTV was analysed by the experts who agreed that the speed was in a range of 45-49 miles per hour. The trial judge, Master Davison, concluded that the Claimant was travelling at “at least 45mph and probably nearer 50mph”. Master Davison found that the car driver was negligent. It was not sufficient for the defendant to edge out to the point where he could see to approximately 40 metres up the road. 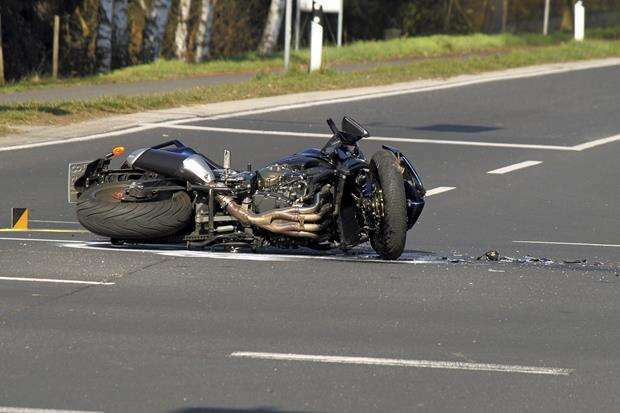 The judge also found the motorcyclist to have been negligent because of his speed. He apportioned liability 60/40 in the Claimant’s favour. The court did not consider the amount of damages to be awarded to Mr Hernandez. This will be decided at a later date. Dear Mr Beasley, Thank you for your service, hard work and time spent handling my case. I would like to express my appreciation to you for taking time out of your tight schedule to explain details regarding my case to me. Thank you for your service. Best wishes.